Feel at Home in This Hotel's Suites Near Hartford, CT Located in the center of the business district of Meriden, Wallingford and Cromwell, the Candlewood Suites® Hartford / Meriden hotel is the best choice for extended stay travelers. Our suites have the convenient amenities you need to make your accommodations feel more like your apartment but without the long-term lease. Other hotels in Meriden, CT cannot match our prime location with easy access to top attractions and entertainment. A delightful array of quaint restaurants and unique shops is awaiting visitors, just a short drive from Meriden. Hotel guests can take advantage of our concierge service to find the best nearby attractions. Looking for hotels in Meriden, CT with premier business amenities? Look no further. 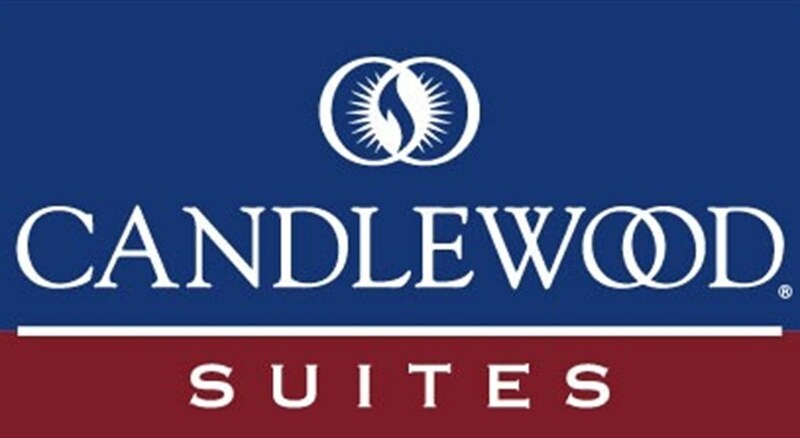 Offering free high-speed, wireless Internet access and over-sized executive desks in every suite, the Candlewood Suites® Hartford / Meriden hotel pleases corporate travelers. Check out our intimate meeting space with seating for up to 20 people. After a long day of exploring the area, guests can browse our DVD/CD library for a personal favorite to enjoy in the comfort of the suites. Then be sure to stop by the Candlewood Cupboard for snacks, drinks, ice cream and the sundry items we know our hotel's guests need most. Although near Hartford, CT, this hotel is far enough away from the hustle of the city to offer a quiet, serene environment during your stay. The 4-star Belisaire & Thalasso Hotel enjoys a private beach location at the resort of Hammamet-Sur in Tunisia, North Africa and is set amid lovely gardens and is equipped to provide a restful and enjoyable All Inclusive holiday. The impressive 276-room Belisaire & Thalasso Hotel has 4 floors and accommodates couples and families in comfort with access to a range of services and facilities for a great holiday. Savour all-day buffet meals and a Dine Around programme offering themed cuisines, bar refreshments and organised entertainment. Enjoy a super pools arena, an extensive Spa Thalassotherapy suite for rejuvenation, Mini club and pool for children, and a range of recreational activities onsite, at the beach and water sports on the ocean. Visit Tunisia for a complete holiday experience and book into the well-equipped 4-star Belisaire & Thalasso Hotel at Hammamet-Sur, North Africa. Getting to the hotel: 40km from Enfidha International Airport; approximately 65km from Tunis International Airport; and approximately 80km from Monastir Airport. Local tips: 200 yards from the private beach. Just over 7 miles from central Hammamet. Please note - Beginning October , 2013 there is a tourist tax of 1 euro per day for each guest over the age of 12 to be paid locally. Important information: From 1 October 2014 the Tunisian government plan to implement a departure tax of 30 Dinar (approx. £11) per person including infants which will apply to all non-residents departing Tunisia and Djerba. This will not be included in the price paid to Hotels4u. Food, drink and entertainment: Restaurant Zeitouna provides a buffet breakfast, lunch and dinner of international and Tunisian cuisine; and the Dine Around programme introduces you to a choice of 4 themed restaurants; the beach bar serves refreshment in the summer; the Arab Café offers traditional teas and coffees; the Zafeer Piano Bar offers drinks and themed dinner choice; and the Snack Bar Belisaire serves snacks and drinks through the summer. The entertainment team host various evening entertainment shows and activities. Sport, games and activities: Swimming pools arena, sun terrace and garden areas with loungers and parasols; the Thalassotherapy Centre opens from 9am to 7pm and includes indoor pool, Turkish bath, varied showers, hydro-massage bath cabins, treatment rooms, massage rooms, beauty treatments and a range of further therapy treatments, a Doctor and professional team, and a hair salon. Recreational pursuits include 2 floodlit tennis hard courts, aerobics, archery, petanque, darts, gymnastics, mini golf and table tennis, beach volleyball and a range of water sports, and 2 golf courses about 3 miles away. Some activities will incur a charge. For the kids: Mini Club (ages 4 to 8 years: open from 10:00am to 12:30pm and 3:00pm to 5:00pm) with organised activities; a children's pool and equipped play area; and evening childcare/babysitting. Additional: 24 hour Front Desk services, housekeeping, currency exchange, payable WiFi internet throughout, business centre, facilities for guests with disabilities, lift, car hire, safe boxes, no pets allowed and free onsite parking is possible. Guest accommodation has a tasteful décor with a homely ambience, interiors of soft pastel/pale tones, drapes and fabrics of warm colour, light wood furnishings on cool tiled flooring and modern amenities for your comfort and convenience; features includes a private furnished balcony, air-conditioning, en suite bathroom with bathroom/shower and hair dryer, payable WiFi internet, satellite TV, telephone, desk with chair and comfortable seating. There are 4 adapted rooms available to guests with restricted mobility. 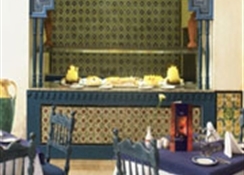 Meals:Breakfast; Lunch; Dinner, Buffet, Daily.Late Breakfast, Continental, Bar (at the Shark Bar), Daily: 10:00 - 12:00.Snacks, Buffet, Bar (Snacks such as sandwiches, mini pizza and cakes are available ), Daily: 14:30 - 17:30.Midnight snacks, Bar (from the Shark Bar; sandwiches, fruits, cakes, coffee, milk and tea), Daily: 22:00 - 00:00.Drinks:Locally produced Alcohol; Locally produced non Alcohol, Soft drinks; Hot drinks; Cold drinks; Wine; Spirits; Juices; Liquers; Draught Beer; Vodka, Daily: 10:00 - 17:00.Locally produced non Alcohol, Cafe (At the Moorish Café guests can have soft drinks, juices, tea, Turkish café, Thibarine and Boukha), Daily: 15:00 - 23:00.Locally produced Alcohol; Locally produced non Alcohol, Soft drinks; Hot drinks; Cold drinks; Wine; Spirits; Juices; Liquers; Draught Beer; Vodka, Restaurant, Meal times.Locally produced Alcohol; Locally produced non Alcohol, Soft drinks; Hot drinks; Cold drinks; Wine; Spirits; Juices; Liquers; Draught Beer; Vodka, Bar (at the Shark Bar & Zafeer Bar), Daily.